Indian Posts: Triple Murder !!! Three women were found dead at their residence on Thursday. The incident took place at the residence of renowned industrialist Jagjit Singh Loomba in Lajpat Nagar in which his wife Daljit Kaur, daughter-in-law Paramjit Kaur and her friend Khushwinder were found shot dead. 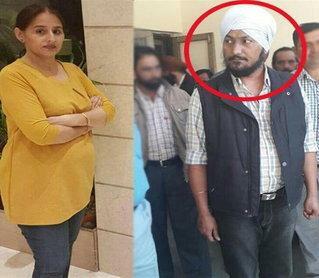 Jagjit’s son Amarinder Singh and his accountant Tejinder Kaur aka Ruby with whom he was allegedly having illicit relations have been arrested on charges of murder & hatching a criminal conspiracy. The day the incident happened, Amarinder came out of the house in the evening, and started screaming that his mother and wife have been murdered. Soon after media gathered, Dainik Bhaskar’s reporter asked that how did Amarinder know that it was a murder? Amarinder, who turned baffled listening to the question, came into suspicion since then. As the police started the investigations, it came into light that Amarinder had relations with women outside his marriage, and was in an affair with a girl named Ruby. His wife and mother were aware of his illicit relationships. Further investigations revealed that Amarinder had hired killers for Rs 8 lakh, for his wife and mother. The murders entered the house acting as CCTV camera repairers.